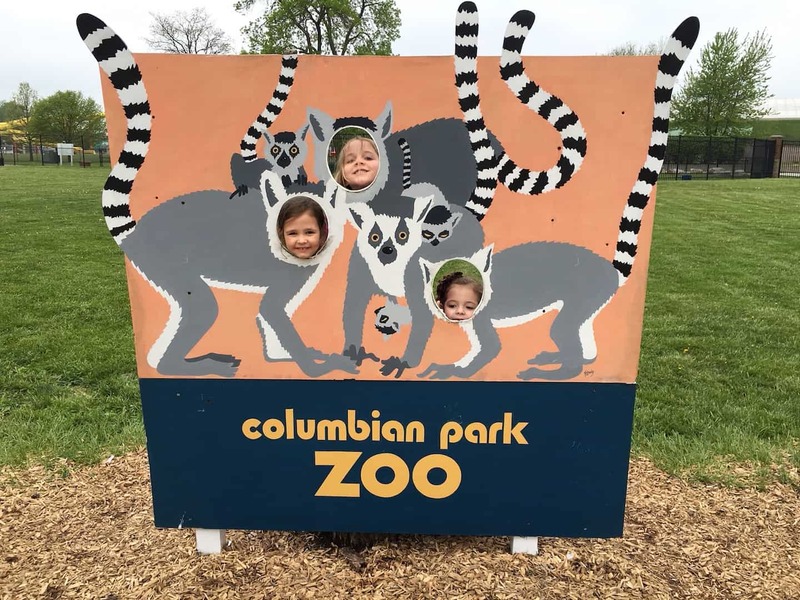 Mark your calendars, folks, because the Columbian Park Zoo is opening for the season on April 21. The zoo is celebrating its 110th year in Lafayette in 2018 and revamped its education program in 2017 to include more classes in which children can explore the Animal Kingdom. Going to this free admission zoo located at 1915 Scott Street, is a favorite activity for people of all ages, but particularly those of us with young children. The splash pad at the entrance of the zoo is a great way for kids to have fun and stay cool. EVERY SINGLE TIME we go to the zoo, regardless of weather, my kids play in the fountains. I used to fight it and try to make them stay out, but I have given in and now just bring a change of clothes or make them wear bathing suits whenever we go. They love climbing on the spraying elephants, sitting on the monkeys and alligators, and locating Lafayette, Indiana on the globe fountain. Whenever we can make it past the splash pad, they want to feed the goats. For a quarter, you can get mauled by hungry goats, which is traumatizing for some young children, and wild fun for others. Adorable baby goats begin appearing in May and keep coming throughout the summer. Good luck keeping your kids from attempting to pick up the kids (get it). Another favorite exhibit is the Wallabies. Upon entering the exhibit, visitors stay on the roped path and adorable marsupials bounce around you, many with babies in their pouches. Wallabies look like little kangaroos and by late summer the babies are more visible, often because appendages are sticking out of mama’s pouch. 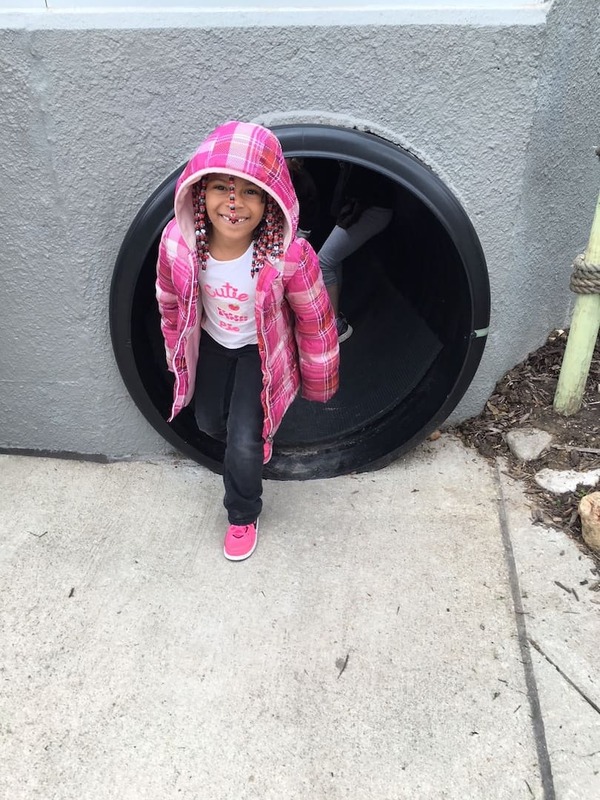 Crawling through the Prairie Dog tunnels is another must at the zoo. By poking their heads up out at the lookout points throughout the exhibit, kids get an up close and personal encounter with the animals. Visitors of all ages are welcome to crawl through, however, only those with good knees should attempt this. River otters are native to Indiana and visitors can watch them swim at both the transparent wall and in the transparent tunnel. On busy days, there is a line for the tunnel as it is a favorite place to get out of the sun and relax with one’s feet up while being entertained by silly otters. Any trip to the zoo is not complete without a walk through the Butterfly House. This beautiful exhibit is filled with flowers and greenery and fruit, and the butterflies fly around you and pose for pictures. There is also a box of chrysalises which is a fun way to explain the life cycle of a butterfly to children. Outside of the exhibit is a giant caterpillar, which is a great photo opportunity that I dare say most visitors take advantage of. 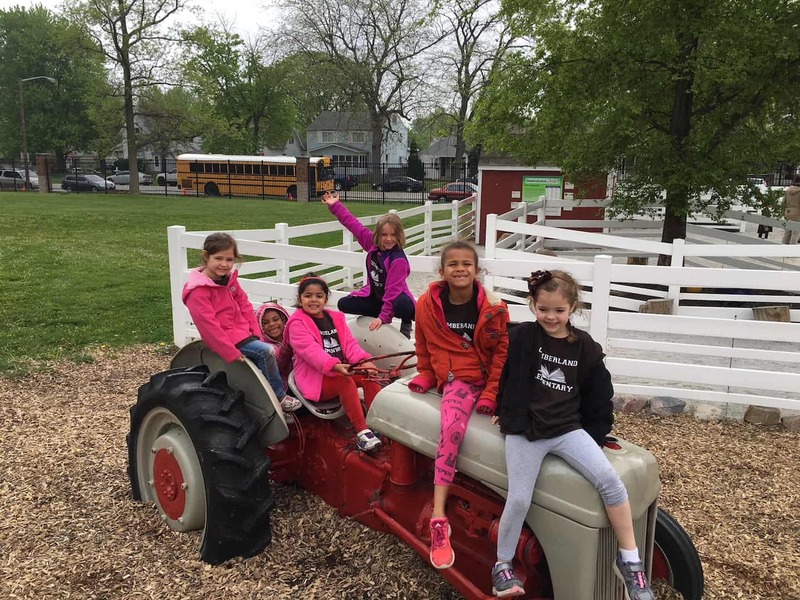 We residents of Tippecanoe County are so lucky to have a zoo that is so easily accessible. As I tell newcomers, there aren’t lions, tigers, and bears, but there are wallabies, monkeys and goats, and it’s FREE! The educational programs are wonderful and the summer programs fill up quickly in January and February. The zoo throws great birthday parties throughout the year, and there is a Zoo 5K race and Boo at the Zoo in the fall. 110 years and going strong! Greater Lafayette area realtor, ready to help you with all your relocation needs! Meet us at the office! Have questions? We have answers. We look forward to your call! Send us your questions and concerns and we'll help you right away. Keep up to date with new listings, community events and more by following us on Facebook. © 2019 The Alexander Group Real Estate. All Rights Reserved.